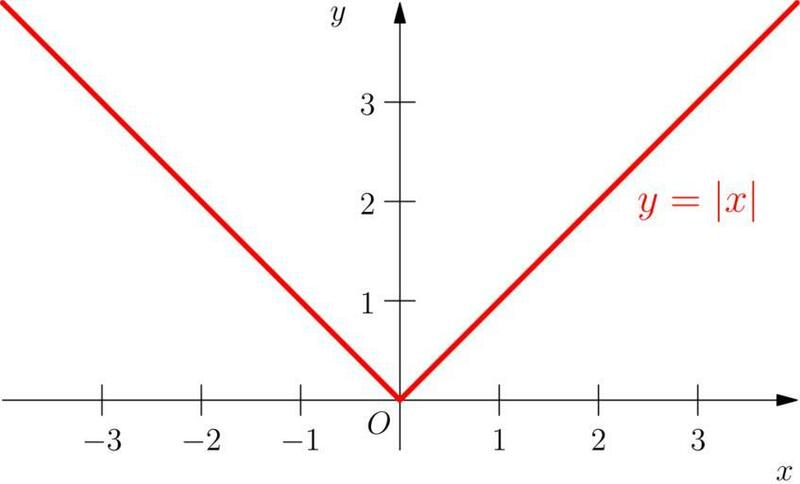 We use straight line brackets to signify absolute value, such as |-7|. This means that anything within those brackets gets changed to positive. So |-7| = |7| = 7. That's really all there is to it. The trick is that you have to solve the expression within the brackets before you can change it to positive. If you want an exact definition, refer to Dictionary.com. Distance is almost never given as a negative number. The distance to Uncle Bob's house is probably not -23 miles. But there are a lot of other reasons why you may require a positive number. If you are programming a game, there's a good chance you're program can't plot a negative coordinate. Both of these roots will satisfy the equation. Let's try one that is slightly harder. Remember, we are only turning the expression within the brackets positive. So, step 1 is to get the bracketed expression by itself. We do this by subtracting 10 from both sides. This was kind of a trick question. 3x - 3 is in brackets, so it has to be positive. It cannot equal a negative number. This problem has no solution. Some are confused by this. Instead of writing -(2x - 8) = 2, I wrote 2x - 8 = -2. Do you see that they are the same thing? It's as if I multiplied both sides of the equation by -1. In the first problem, we add 8 to both sides and get 2x = 10. Now we divide both sides by 2 and get x = 5. In the second problem, we add 8 to both sides and get 2x = 6. Now we divide both sides by 2 and get x = 3. Plug them both into the original equation to make sure they work, and we're done. Want More Information? Check out the Algebra 2 section click on Absolutes.